Utilize the Sticker Wizard (100 templates included) in ScanNCutCanvas to create unique stickers and labels. Create your own designs and then cut them out using the ScanNCut machine. Sticker sheet sets available for purchase. Print your favorite image, cut and create your own design stickers and labels! Great for crafters, small business, and home use. 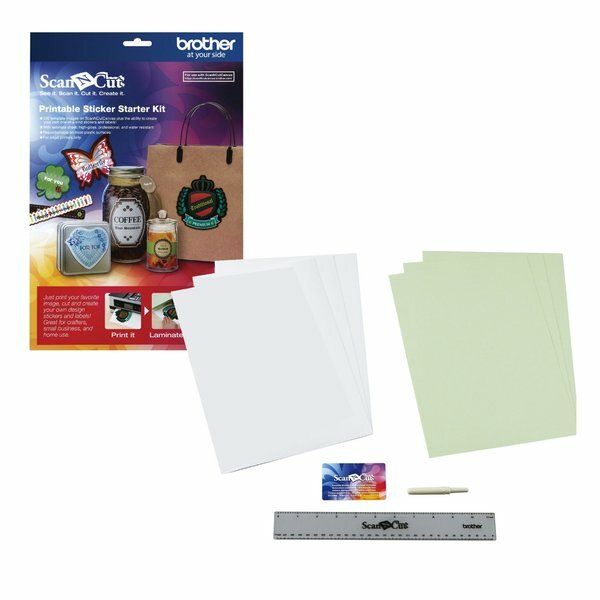 Includes 100 template images on ScanNCutCanvas plus the ability to create your own one-of-a kind stickers and labels! Repositionable on most plastic surfaces.